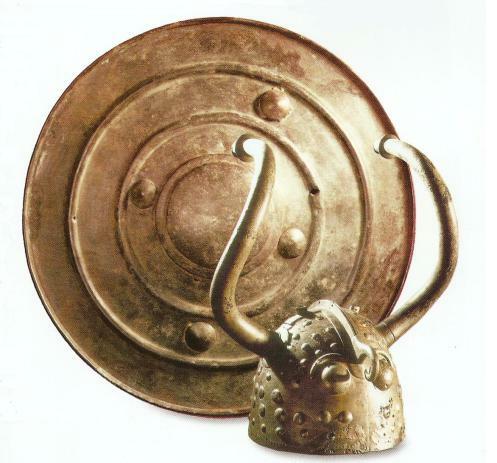 A common stereotype about the Vikings is that they allegedly worn horned or winged helmets. In reality, archaeological discoveries and subsequent historical research reinforce the fact that the Norsemen didn’t wear horned or winged helmets at all. This misconception has been considerably backed up by the artistic license of Richard Wagner’s staged opera ‘Der Ring des Nibelungen’, when costume designer Carl Emil Doepler made up horned helmets for the characters, or by the Swedish artist Johan August Malmström who often depicted the Norse raiders with unusual headgear in his paintings. Nonetheless, the Norsemen didn’t wear any winged or horned helmets during the Viking Age, this being ultimately nothing more but a mere misconception stemming from several 19th century Romantic artists. Even though it can be quite complicated to thoroughly analyse the Norsemen’s way of living during the Viking era (which took place between the 8th and 11th centuries in Europe and overseas) clinging only to the Norse sagas or to the skaldic poems of the Middle Ages, a near complete Viking Age helmet was excavated in 1943 on the site of a farm called Gjermundbu from Ringerike, a municipality located in eastern Norway. According to the archaeologists who discovered it, the artefact dates back to the 10th century, being thus entirely made of iron. Furthermore, the helmet has a rounded cap and a guard around the nose and eyes, which aesthetically formed a mask (in addition to the defending purpose of its design). No wings or horns were attached to it though. The helmet discovered in Ringerike, Norway likely pertained to a Norse nobleman and was excavated from his tomb. However, in terms of its design, the helmet worn by this Viking Age chieftain was one of the most complex of its kind, given the fact that some of the runestones tell us how the Norsemen wore far simpler crafted helmets. The simpler helmets would often feature caps with an ordinary nose guard. Aside from the excavation which took place in eastern Norway, archaeologists sought for Viking Age helmets in the Tjele municipality from Denmark and in the Lokrume parish on the island of Gotland, Sweden. One helmet was discovered in each of the aforementioned locations but, unfortunately, both are incomplete, consisting solely of rusty materials. In the end, there is no scientific proof according to which the Norsemen could have used helmets with either horns or wings in the battle as part of their military equipment during the Viking Age. 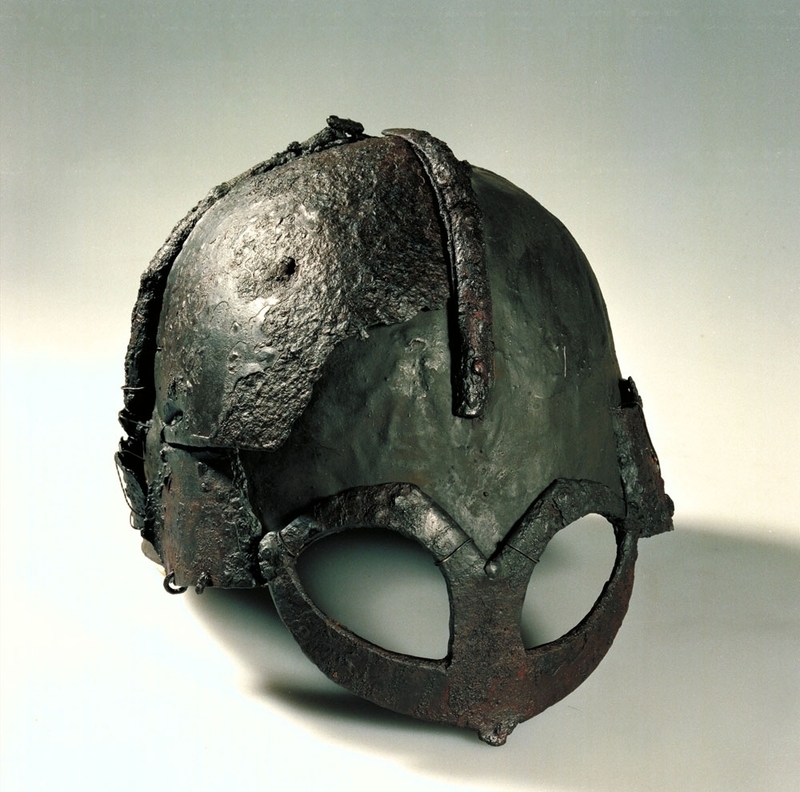 If anything, it’s equally indicated to mention the Viksø helmets which were found in 1942 in a swamp west of the small town of Veksø on the island of Zealand, Denmark, but these artefacts were dated circa 900-1100 BC (corresponding as such to the Bronze Age timeframe) and were certainly used for ceremonial purposes, rather than in warfare. Additionally, their design is considerably different from that of the stereotypical Viking Age horned helmet. Then, what could be the conclusion regarding this stereotype and its contemporary relevance? 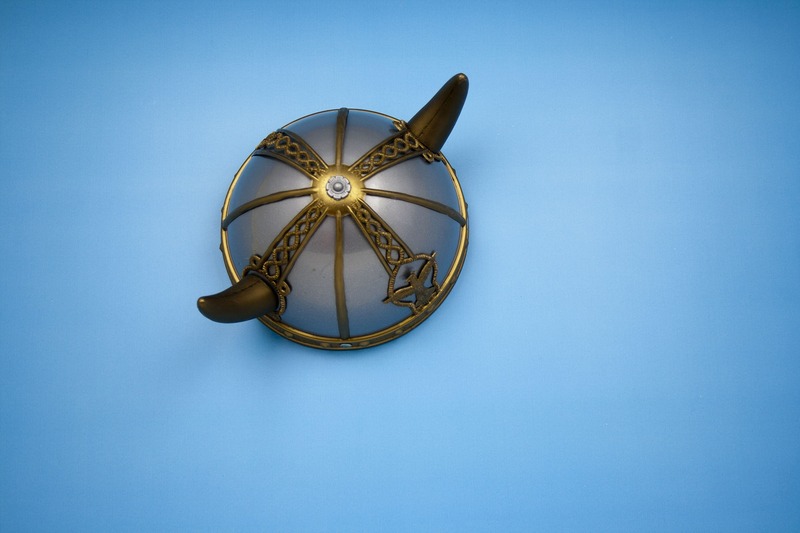 Similarly to the many other misconceptions which rose to prominence in the popular culture as of the cause of various 19th century European Romantic national movements, the myth of the Viking horned helmet was passed on to Hollywood-like productions and copious false merchandising around the globe. This is why historical accuracy seems always likely to lose ground when faced with commercial approaches. Vikings didn’t use double bladedaxes either. Canadian lumberjacks did.The ariicle assumes that only special individuals hd the full set f spears ,swordsm spear and helmet but Norwegian law ca, 1066 specifies that every crewman on a warship should have those weapons when called up for a compulsory attack. Viking Sweden also had such a law.